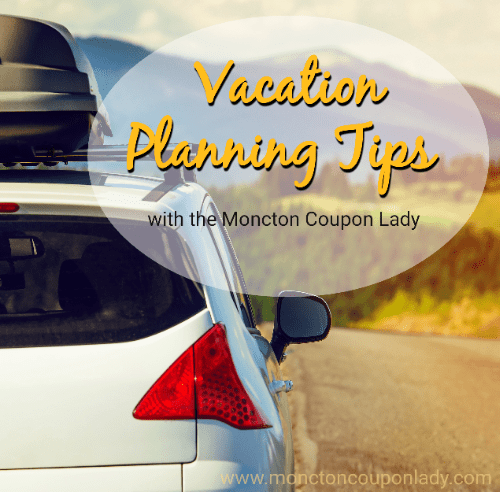 I love doing day trips in the summer with my family, and there are many affordable options around our province and neighboring provinces. If you cannot afford to plan a big trip, or do not have the time to take a week or two off, day trips can be a very fun and affordable option. I find with kids, sometimes a day trip is best, coming home to sleep in their own beds after a long day of activities. It definitely is more cost effective and less stressful on everyone. If you are planning a trip away, by plane, train or car, here are a few tips that will help you save while traveling. 1. Setting a budget. I suggest working backwards. Determine a budget you can afford and then plan a vacation around it, instead of picking a destination and figuring you are never going to be able to save enough. Work with what you can do. 2. Destination determines mode of travel. If flying, book about 3 months early. Often it is cheaper to book early with insurance, than last minute. watch for seat sales or talk to a travel agent to see if you can get a better Package Deal. Booking mid week vs weekend will save you money as well Trains and rental cars: watch for promotions for both of these options. Via Rail offers discounted rates quite often between cetain destinations. WATCH FOR HIDDEN FEES for all mods of travel . 3. Plan ahead for transportation once you reach your destination: your vehicle or rental + parking, subway, train, bus, etc. Many cities offer family passes and weekly passes for their public transportation methods. 4. Meals: determine if you can make some of your own meals vs. Eating out. When we travel by car, we take a cooler and fill it will breakfast and lunch options. Leaving only suppers to buy. Try to find hotel options with breakfast included and then pack lunches to take with you on your daily adventures. 5. Prioritize activities: depending on your travel companions, you may want to visit theme parks, zoos, shows or spas! Create a "wish list" of activities for your destination, then pick the ones that you can afford. 6. City Passes: many cities have city passes or museum passes. You purchase one pass that gets you into several attractions. Be sure to compare cost of going to individual things and determine if you will be visiting enough for the city pass to be less expensive. 7. Discount Booklets: many cities have coupon booklets available. Check tourist information site for free booklets and also search for paid books. Entertainment Books are available for many cities in North America. Also, Moncton area has Johnny Coupons, with many BOGO options. 8. Staying in hotels can be costly. Look for offers like, book 3 nights get one free. Also, booking through a discount site like hotels.com or priceline.com can save you alot of money. Hotel stays are also often cheaper during the week versus the weekend. These are a few things to think about when planning your vacations. In the Maritimes : ValueStar Coupons (Printable) Offering deals on accommodations, restaurants, services and activities. Mainly in Moncton, Fredericton and Saint John. Shopico (order ahead) Various discounts on hotels, restaurants, attractions and services across the Maritimes. HeraldShop.ca (order ahead ) Various discounts for accommodations and even events tickets!